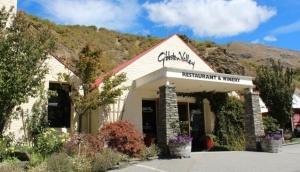 Queenstown Restaurants are in plentiful supply. Diners are spoilt for choice at both ends of the budget spectrum. Lakeside views, celebrity masterchef establishments, quality seafood and steakhouses all mingle with an array of casual dining options. The compact nature of the town means it's very easy to walk to most of the restaurants in Queenstown. Steamer Wharf and Marine Parade offer many of the fine dining restaurants with views overlooking Lake Wakatipu. However, it's not all fine dining with Pub on Wharf a popular place to grab a decent sized pint. Close by on Beach Street, there are thai, chinese and steak restaurants located on the second floor that take advantage of the lake and mountain views. Ballarat Street and 'The Mall' feature a number of cafes and restaurants nestled among the shops and are a good spot for people watching. At lunchtime, there's usually good 'special deals' to be had. The Village Green has plenty of bars with decent menus while Shotover Street is the place for takeways and a number of Asian and Mexican restaurants. Read more in our zone by zone Queenstown Restaurants Guide.